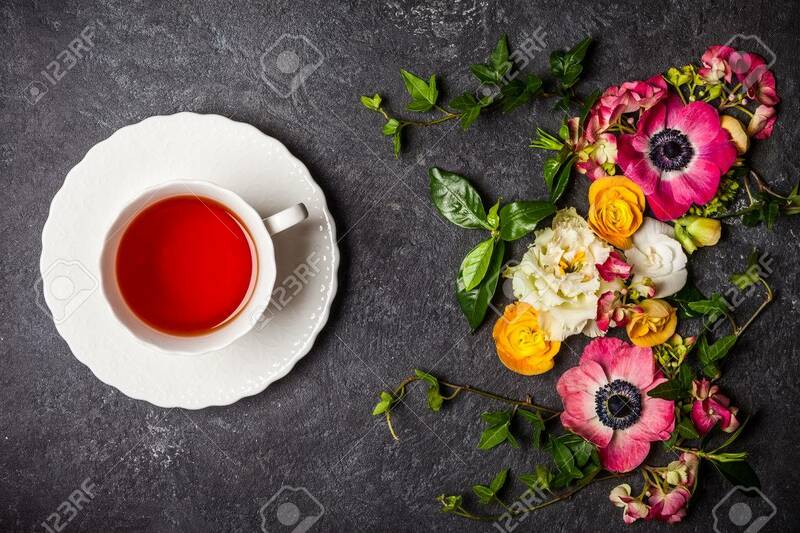 Cup Of Tea And Various Flowers On Black Background. Overhead.. Stock Photo, Picture And Royalty Free Image. Image 57092417.